Burger fans have flocked to the new Five Guys in Bend. 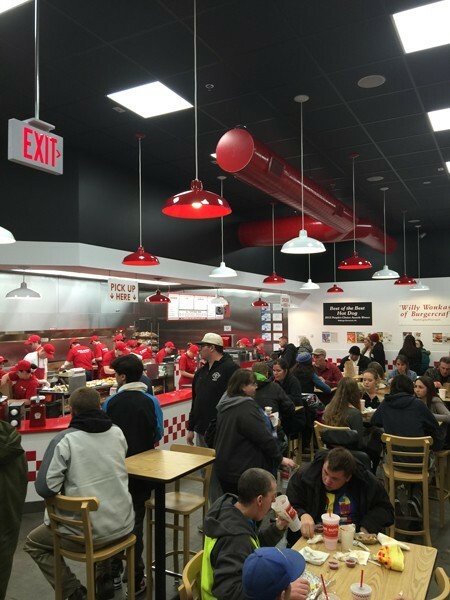 Five Guys Burgers and Fries has opened its doors to an eager assembly of hungry Bend residents. Located off 3rd Street across from the new Walgreens, Five Guys is one of the few new food-faces popping up along one of the busiest streets in Bend. 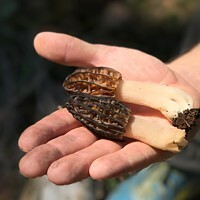 Since its announcement to open up a store in Central Oregon last year, many residents have been eagerly awaiting opening day. Having visited the location in Eugene, Bend resident Edward Kehoe didn't mind waiting in line, saying simply, "I love Five Guys, " a sentiment shared by, apparently, thousands of people in Bend. Indeed, this seemed to be the general consensus as 4,300 people were served opening day, according assistant manager Jeff Christensen. "We have been extremely busy since the doors opened," said Mel Garges, co-owner of this location. He equates the success of the business to high quality standards, including hormone-free beef that is hand-formed into patties daily and are never frozen. In fact, Five Guys does not even have freezers at any of its 1,000-plus locations nationwide and this one is no different. While employees in uniformed red shirts filled the assembly line behind the counter, there were many more unsung heroes in the back cutting and preparing fries for the masses.Aside from pleasing the palates of many new customers, Five Guys has also created about 45 new jobs for the area. Sun-Thurs: 11 a.m. - 10 p.m.
Fri-Sat: 11 a.m. - 11 p.m.